SAN DIEGO — April 2, 2018 (GLOBE NEWSWIRE) — IntelliGuard, developer of Intelligent Inventory Solutions™ for critical inventory management, today announced it is launching “The Future of Hospital Pharmacy,” a new 10-episode digital series that features interviews with some of hospital pharmacy’s top thought leaders. On April 30, 2018, the series will kick-off at ig.solutions/TheFutureOfHospitalPharmacy with a video dedicated to the Topics covered and on May 1, 2018 the first full episode will premiere, with the rest of the episodes being released weekly. “The Future of Hospital Pharmacy” series features a wide breadth of experienced healthcare professionals who were asked to answer nine questions that center around the current issues and opportunities that affect the hospital pharmacy and what the future of hospital pharmacy may look like in the coming years. 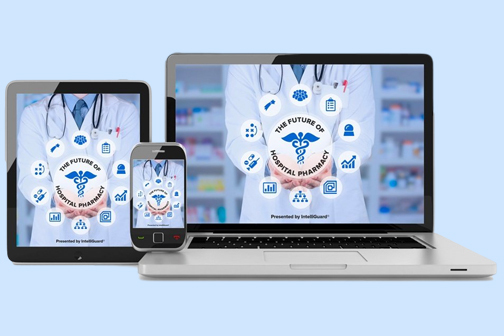 Unscripted interviews with Founders, CEO’s, Directors of Pharmacy, Physicians, Nurse Practitioners, CIO’s, and more provide the basis of this thought-provoking video series that ultimately identifies strategies that the industry needs to adopt now in order to adapt to an ever-changing atmosphere and survive in an increasingly volatile environment. On April 3, 2018, a video focused on the series’ Contributors will kick-off a series of daily teasers that will highlight each of the Thought Leaders via social media. Follow IntelliGuard on LinkedIn, Twitter, Facebook and YouTube to get updates on this series and more and join the conversation using #FutureOfPharma.